Pear Tree Cottage is a beautiful two-bedroom granite cottage, situated in the prime location of Saltings Reach on the outskirts of St Ives. 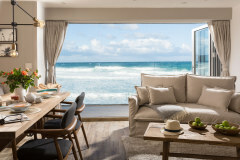 This modern and well-equipped holiday cottage has everything you need for a relaxing getaway and offers luxury open-plan living at its very best. The owners have stylishly created a unique and welcoming ambiance with a touch of luxury. Rich chestnut wood flooring and work tops add warmth whilst the fresh white backdrop, with soft blues and browns, creates a homely feel. The cosy, open plan living space comfortably seats 4 and is perfect for use in all seasons, from cosy fireside chats to summer day shade. The stylish sitting room and kitchen lead to a light filled conservatory with dining table and comfy chairs, a holiday essential when the Cornish summer weather changes! Upstairs, each bedroom offers a sumptuous sleeping experience, again beautifully styled so you can sink under fluffy duvets. Throw open the conservatory doors to the pretty garden complete with teak furniture. A lush green lawn is lovely for a lazy sunbathe, or for children to play safely on. Take advantage of The Saltings branch line train, which conveniently stops on the water's edge only a few minutes walk away. 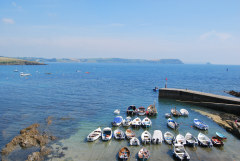 Enjoy the trip from holiday door to harbour wall in 8 minutes enjoying some breathtaking coastline along the way. 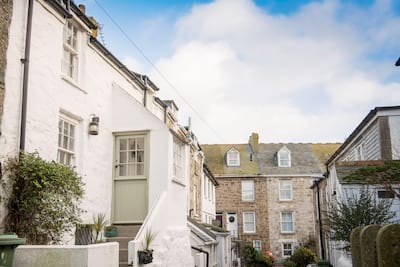 Pear Tree Cottage is the perfect choice of holiday home if you want to stay in a quiet and peaceful location but still be ideally located for easy access to explore the West Cornwall peninsula. Incredibly comfortable beds. Very convenient location, especially with trains being so easy to use. Good restaurants within walking distance. Lovely garden. Good internet connection which was great. We were very happy in the cottage on our second stay and will be returning. We had a couple of issues during our stay but these were handled very well. The cottage was lovely and the welcome pack was a really nice touch with useful items. We would certainly use Cornish Gems again. The property was perfect for my family of 4, which provided separate space for our children to hang out (on the rainy days in the conservatory), along with space for me and my husband. We also loved being out of busy St Ives. This is the second time we have stayed in a Cornish Gems property and both have been fantastic holiday homes. The booking is easy, the customer service excellent and it is clear that the standard of the properties available are reliably high quality. 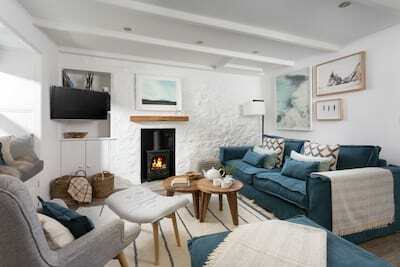 Cornish Gems are the best we have used for a holiday let. 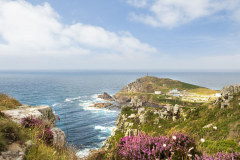 We will continue to use you for our Cornish holidays. 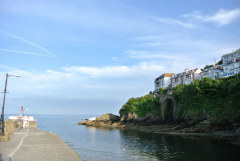 The property is in a lovely location for a holiday in St Ives and has all the facilities that we could wish for. Consequently, we'd have no hesitation in staying there again in the future. Very nice, comfortable accommodation. Nicely furnished and very clean. We all enjoyed our stay at Pear Tree cottage. Location very good with easy train link to St Ives. The children enjoyed the garden very much. The property was very clean and comfortable with all of the facilities we needed. Overall a fantastic week. 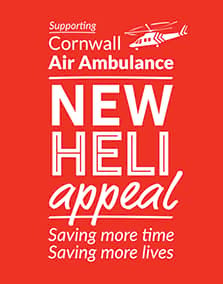 Thank you to all of the Cornish Gems Team. We enjoyed our stay. Nice touch with the soaps and everything was clean etc. Your website is excellent... The staff from the office were lovely too. Thanks. Gorgeous cottage which was very clean, well equipped and in an excellent place to get the park and ride train into St. Ives. The quality of furnishings and linen was excellent and the cottage being cleaned and the linen changed in the middle of our fortnights holiday was brilliant. 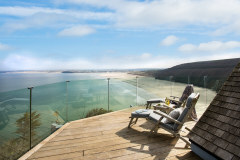 We would recommend this property and Cornish Gems to anyone. We wanted a special holiday as it was the first with our baby daughter. 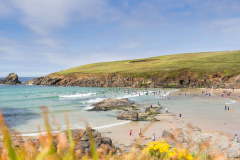 The holiday was special and Cornish Gems were part of that together with the best weather of 2013. Many thanks. The location of the property was excellent and we were very pleased with the overall cleanliness, and the high standard of fixtures and fittings and linens. 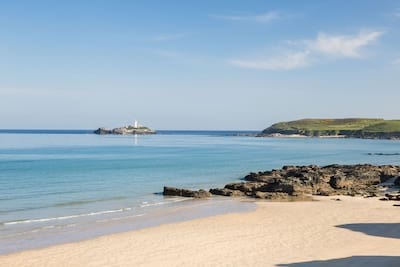 The property was very comfortable and we would seriously think of booking the same cottage again, or looking at other Cornish Gem properties - couldn't fault our holiday in any way. We had a fantastic Christmas break at pear tree cottage. Everything about the house was perfect - so much so that we didn't want to come home! 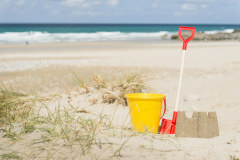 Thank you for a great holiday, we will most definitely be using Cornish gems again. The cottage and booking service were excellent. The whole experience was excellent. 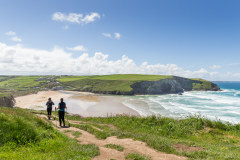 We will definitely be booking with Cornish Gems again.